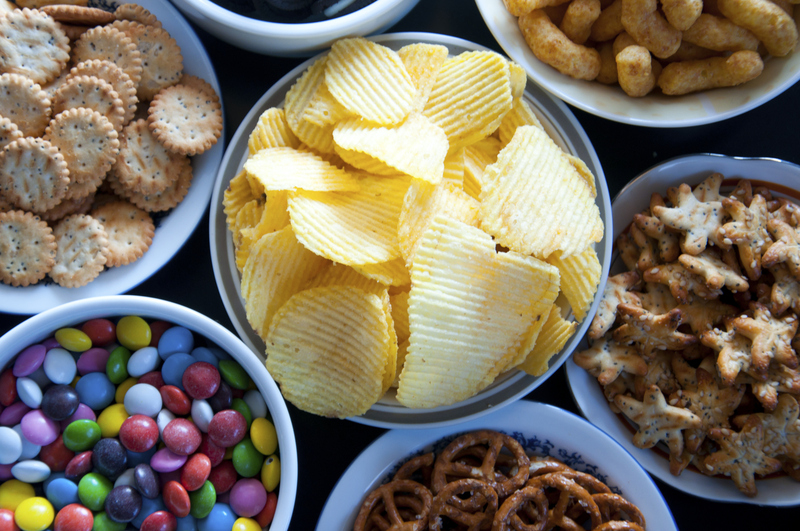 It’s not unusual to turn to high-fat or high-sugar foods in a time of need. Negative emotions such as anxiety, depression, anger and loneliness can all be contributing factors. But at what age to we first show signs of emotional eating? Because the habit of eating in response to emotions has strong links with heavier weight and obesity, understanding how – and when – we become emotional eaters is now more important than ever. To gain a valuable insight, we invited 35 mother-child pairs into our labs twice over a two-year period. On the first visit, mothers told us about their under-5s’ eating habits. Two years later, when the children were aged between 5 and 7 years old, they each returned for a more in-depth individual assessment that included lunch and a fun activity. After lunch, the children rated their mood using a five-point smiley-face rating scale. Children then chose a toy from a selection, which would be theirs after completing a simple colouring task. The toy was placed in sight but out of reach. The children were asked to colour by numbers, and were given specific instructions on the colours to use. The control group completed the task, re-rated their mood and were given their toy and offered some snacks. But for the test group the final crayon was missing and they couldn’t complete the task, and so wouldn’t receive the toy. With one last section to colour – but no crayon to complete it with – the children were asked to rate their mood on the smiley-face scale, and had six bowls of snack food (crisps, cookies, chocolate buttons, breadsticks, carrot sticks and grapes) placed in front of them while the researcher ‘searched’ for the missing crayon. After four minutes the crayon was ‘found’ and the children were given their toy (and their mood returned to pre-test level or better). The 5 to 7-year-olds in the test group consumed significantly more calories than those in the control group (over 350kcl more in some instances). Greater maternal use of food as a reward, and restriction of food for health reasons, when their child was 3-5 was associated with their child eating more food in the absence of hunger two years later. Overly controlling feeding practices which restrict and reward children with food may be inadvertently teaching children to see palatable foods as a way to help alleviate distress. The tendency (and perhaps the opportunity) for children to emotionally overeat appears to increase between the ages of 4 and 6. Emotional eating can be observed in children as young as 5. Try not to restrict and reward children with food – this teaches them to see palatable foods as a tool which can be used to alleviate distress. Presenting and forbidding foods in certain situations overrides children’s natural signs of hunger and satiety. If you need to limit foods, try to do this covertly so that your child is not aware that a food is being restricted. Make sure you lead by example – if your children see you emotional eating, they are more likely to follow in your footsteps. Take a look at our Child Feeding Guide to help make mealtimes happier. Dr Emma Haycraft is a child feeding specialist in Loughborough University’s School of Sport, Exercise and Health Sciences.